I’m going over to meet with the designer, Alex Yeaggy, for my first fitting tomorrow. Yeah!! Since my dress is sleeveless and short, she has also created a cape to keep me warm. 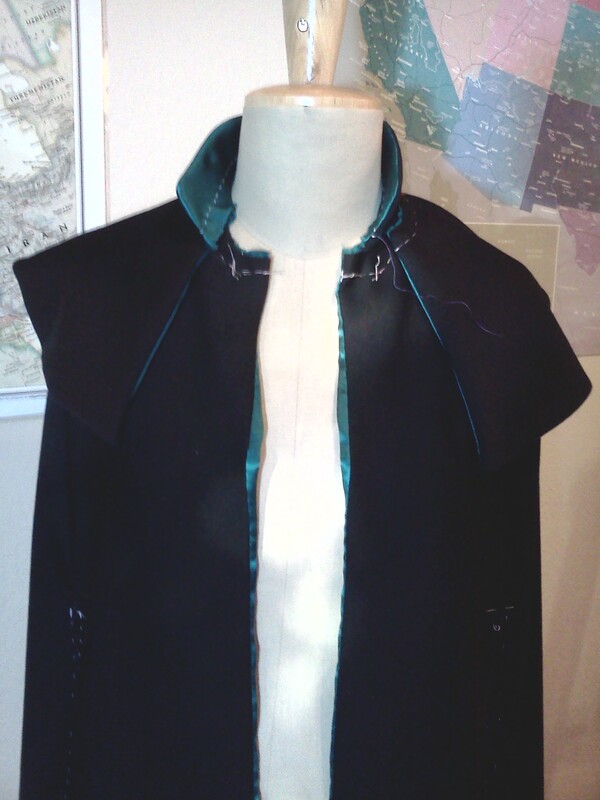 Here is the cape on the dress form still in progress; black with a beautiful, teal, silk lining. I’ll hopefully get pictures of the dress tomorrow! No Comments on "Annie Attire #3"